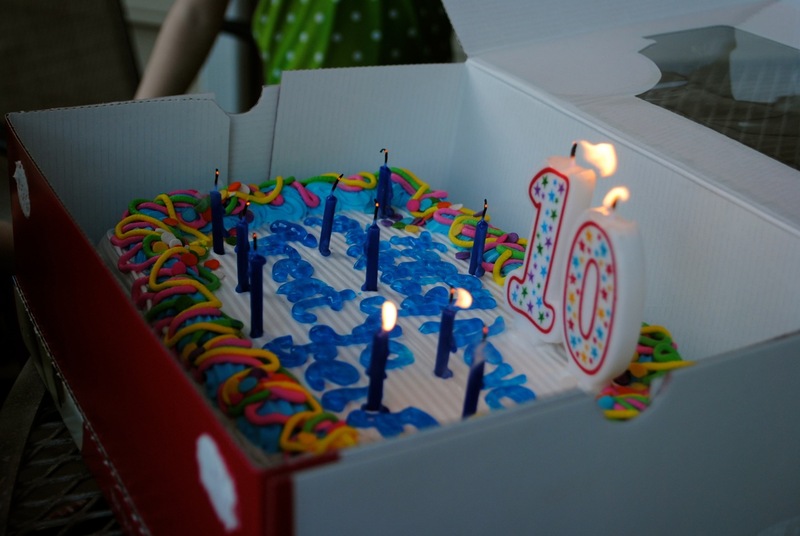 Last week we had our inaugural campfire, our inaugural swim in the pool, and Neve’s tenth birthday. These are aebelskivers I made for Neve’s birthday breakfast. 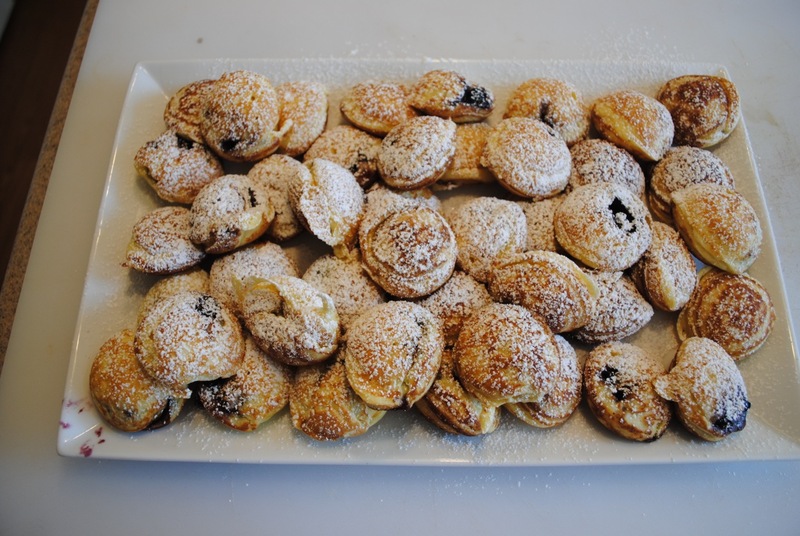 Aebelskivers are a Danish food – they are little, filled pancakes. This time I filled them with wild blueberry pie filling. 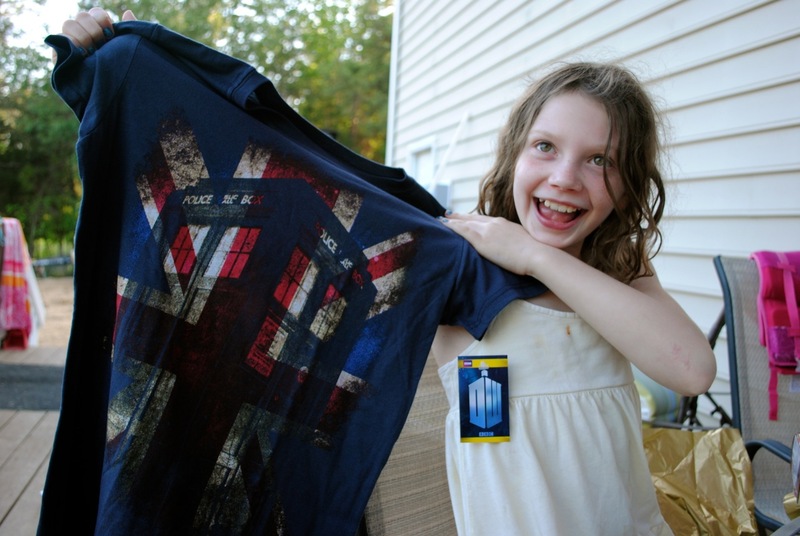 She asked for Dr Who related items and spa gifts. She got both. The traditional Carvel Ice Cream birthday cake. If you can’t tell, it says “Treat Yo Self”. Neve requested it say that since she loves the show Parks and Rec and “Treat Yo Self” is from her favorite episode. After cake we all gathered around the computer so Neve could read the beautiful birthday message Susan posted on her blog. The pool was opened on Neve’s birthday and she spent the day in the water. 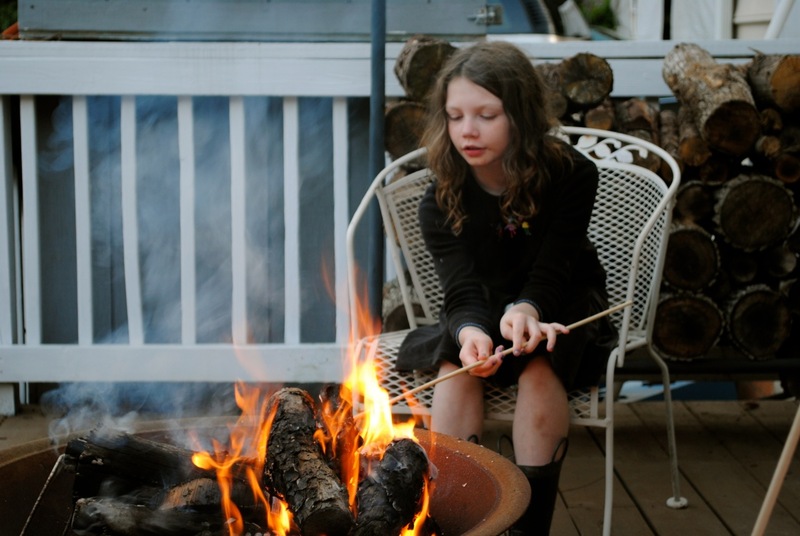 We’re happy it’s campfire (well, porch fire) and pool season again. 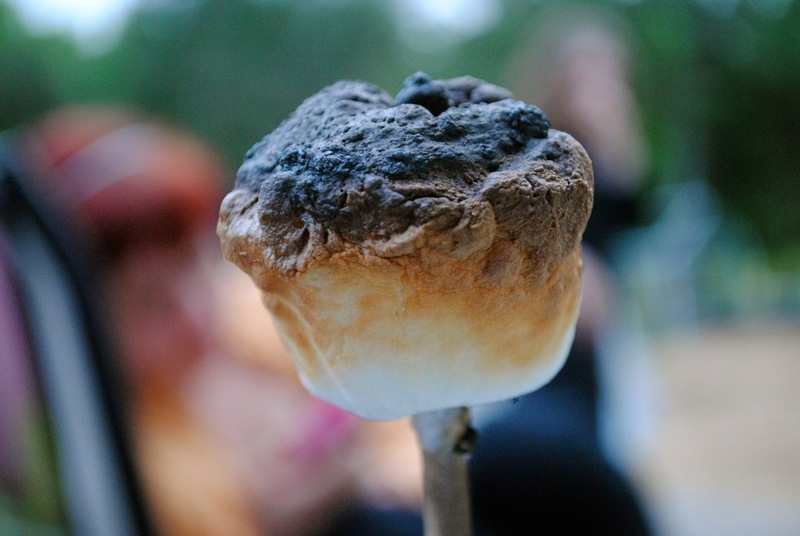 We’ve got plenty of marshmallows stocked, new roasting skewers, and a stack of new Mad Libs for our evening pleasure. 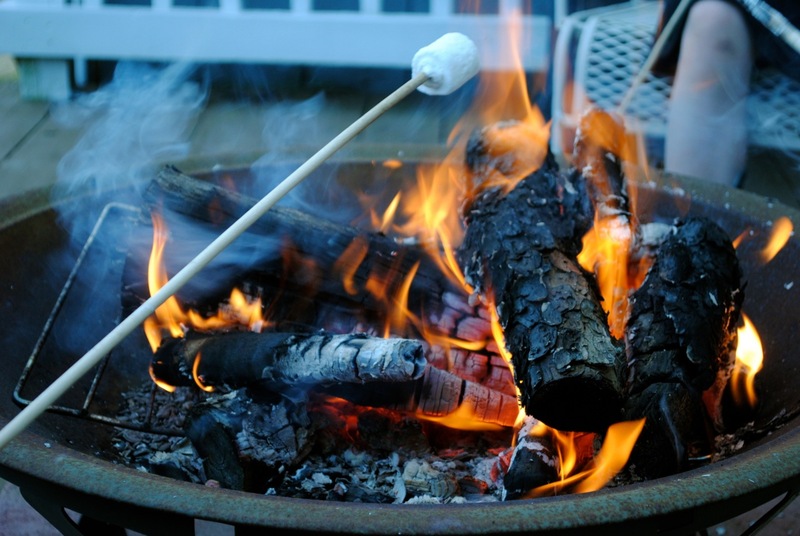 This summer is even more special for me because as we sit out and carouse around the fire we hear the occasional bleating from the sheep in the field. 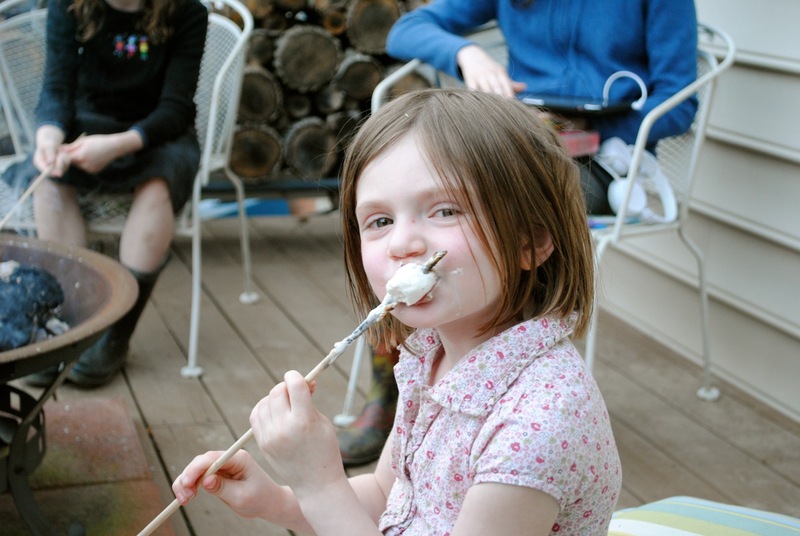 Neve is a connoisseur of properly roasted marshmallows. This entry was posted in Kids and tagged Farm, food, Seasons. Bookmark the permalink. I know you once posted that we all have this idea you live some kind of idyllic life. I don’t think it’s that so much as the lovely, simple pleasures you make a part of your life that we enjoy so much.